Richie Barnett our face of ME/CFS in New Zealand. 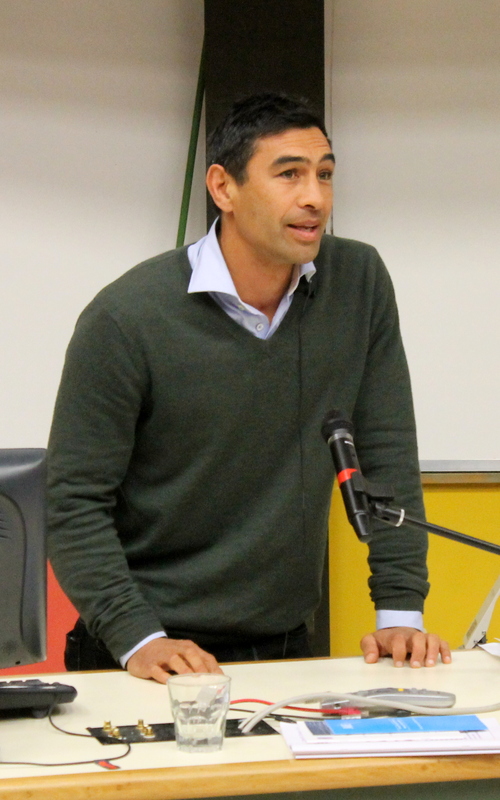 Richie speaking at the Dunedin Forum that was podcast for Medical Students Training. Richie Barnett is a former professional rugby league footballer of the 1990s and early 2000s. A NZ National representative fullback, he also captained the side during his career, during which he played for clubs in New Zealand, Australia and England. Following his playing career he became a columnist for The NZ Herald. Richie Barnett’s 2000 season was cut short by a facial fracture he suffered during the 2000 ANZAC Test. He recovered in time to be selected to captain New Zealand from fullback at the 2000 World Cup. After his NRL career ended, he played for Hull in the Super League until 2004. Richie currently works as a broadcaster for SKY Network Television. ‘I’ve been through some pretty horrific accidents in my life,” says Richie Barnett, former rugby league star and one-time Kiwi captain, recalling in particular the devastating on-field headbutt in 2000 that resulted in 10 plates being inserted into his face. “It was one of the most difficult and painful things I’ve been through, a complete facial reconstruction. “But I would rather go through that again than go through ME. Hands down. Because you know there’s a start and there’s an end. Richie agreed to be face of ANZMES in 2013 and since then he has spoken to groups on our behalf, been interviewed for television and other articles, taken part in a podcast for training for Medical students and we thank Richie for this. Richie shares his battle with ME/CFS here when he speaks on the breakfast show.